Shadows are a powerfully engaging medium for exploring an emotion, an archetype, or character. At this workshop, participants may craft masks and puppets to cast shadows, and/or use provided shapes, textures, color, figures, and props. We’ll scaffold your experience, reminding you of all the tools you possess for enlivening your imagination and creating liminal landscapes of visual and non-verbal narrative. Experience known and newly written text coming to life. Unplug from digital, pixilated, programmed images- bound by screens. The workshop is ideal for all types of artists, authors, dancers, actors and anyone interested in exploring light as visual poetry, and as an exploration of self. It's not a workshop specifically for learning how to craft a shadow puppet- yet we will do some mask work and some crafting. We'll share quotes by Carl Jung, Marshall McLuhan- poems by Naomi Shihab Nye and short stories that relate to shadows and communication with light. Participants will have space to use existing poetry, music or their own writing to create a short work. Each workshop may be taken individually or take both and build upon skills. Christine Marie is an artist, inventor and director. She has taught shadow animation at Pixar and DreamWorks studios. She seamlessly integrates performers, objects and special effects to elicit connections with concepts, phenomenology and history in emotional and visually stimulating experiences. Christine Marie strives to break new ground within her form while being intrinsically tied to ancient art forms and the metaphysical exploration of light. She is pioneering the use of large-scale 3D shadows by reinventing the stereoscope and casting 30’ shadows into cubic space. 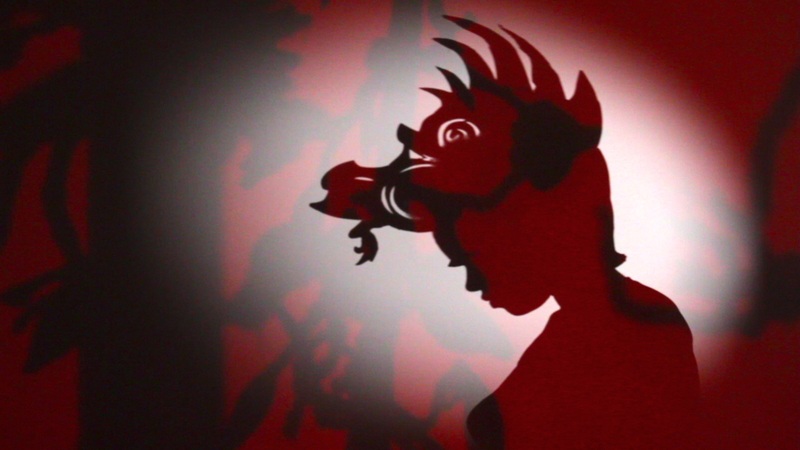 She studied Wayang Kulit traditional shadow puppetry in Bali and is a former 15 year member of ShadowLight theater.